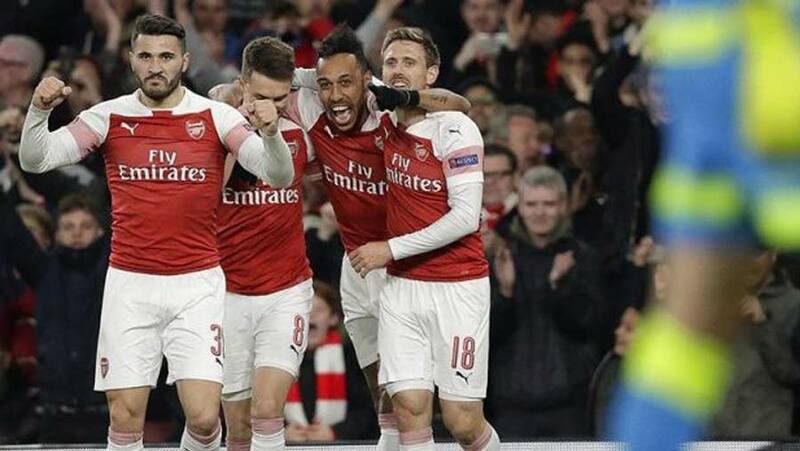 Unai Emery warned Arsenal to expect a strong response from Napoli after his side seized the initiative with a 2-0 win in their Europa League quarter-final first leg on Thursday (Apr 11). Emery's men took control of the tie with a dominant first-half performance at the Emirates Stadium. Aaron Ramsey converted Ainsley Maitland-Niles' pass to finish off a good team move and give the hosts the lead. Kalidou Koulibaly then scored an own goal when he deflected Lucas Torreira's shot past goalkeeper Alex Meret. The impressive Meret stopped the Gunners winning by more.